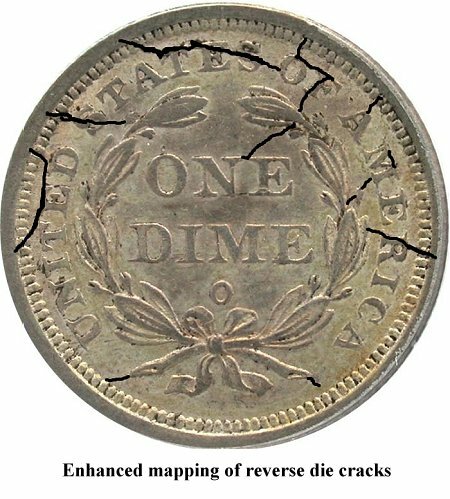 Comments: Reverse B sees considerable usage and develops numerous die cracks from the rim in the legend and wreath. 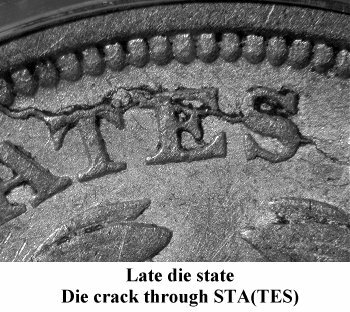 A major die crack starts at the rim above the A in STATES and passes through STA(TES O)F. A second die crack starts at the left rim above UNI(T)ED and passes through the tops of UNIT(ED). 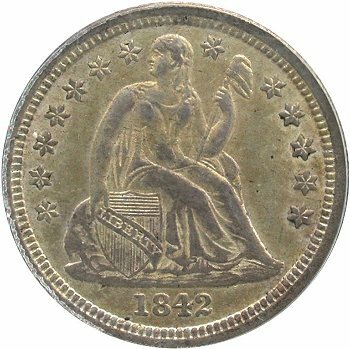 Another die crack is present from rim through (S)TATES to wreath. 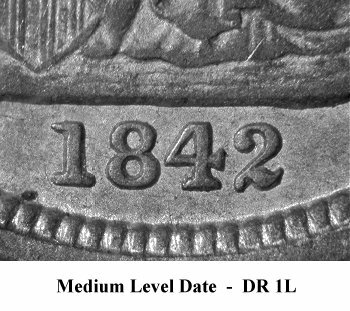 This later Reverse B die state was previously designated "Shattered Reverse #2" by Brian Greer in his 1992 guidebook. 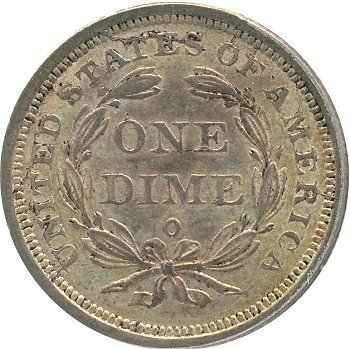 Presently, this Variety 102a die state is listed within the Top 100 Varieties set due to the abundance of reverse die cracks.